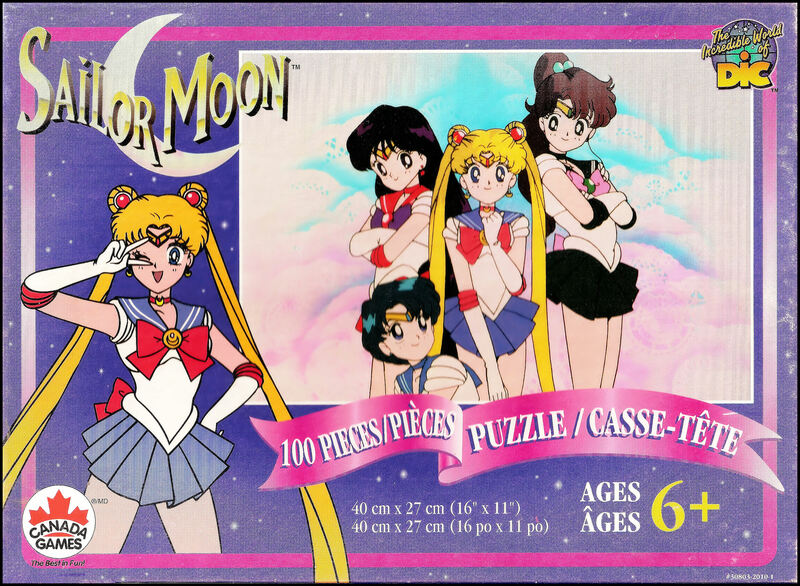 Dic Puzzles – MoonFigures Collection, Art, and Reviews! These puzzles are part of a series released in Canada. 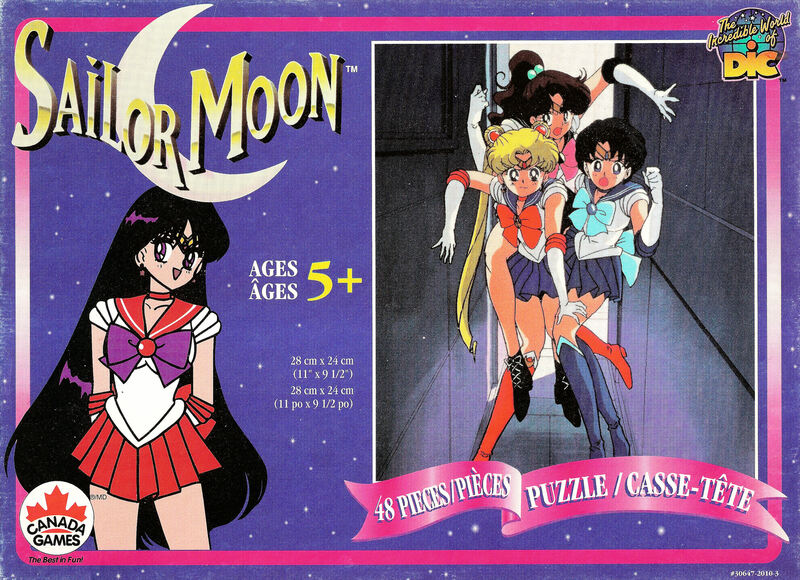 Each box follows the purple colour scheme that was put on a lot of the North American merchandise, and features a different senshi on the front. They’re marked ages 6+ on the 100 piece puzzles, but I think it would take a while for a normal 6 year old to finish this kind of puzzle. It’s not difficult, but the background is rather annoying with all of the white and pattern, even for someone a little older. From a collectors point of view these are nice puzzles. It is meant for younger children, but the print of the image is of decent quality. Enough so that if I had a good, clean version of this puzzle I would probably assemble it and have it framed. It is quite a beautiful image from season 1 and the only really distracting marks on the picture are on the bottom and easily covered (copyright information). They would go nicely beside some framed cells or other pictures. My only real issue with them is that they ALL have a waxy finish that attracts dirt. Depending on the age of the puzzle and dirt it may come off, but be careful. These puzzles are made out of cardboard. These puzzles aren’t rare per-say, but they don’t crop up a whole lot on ebay as far as I can tell. I’ve found all of mine through second hand stores and friends. 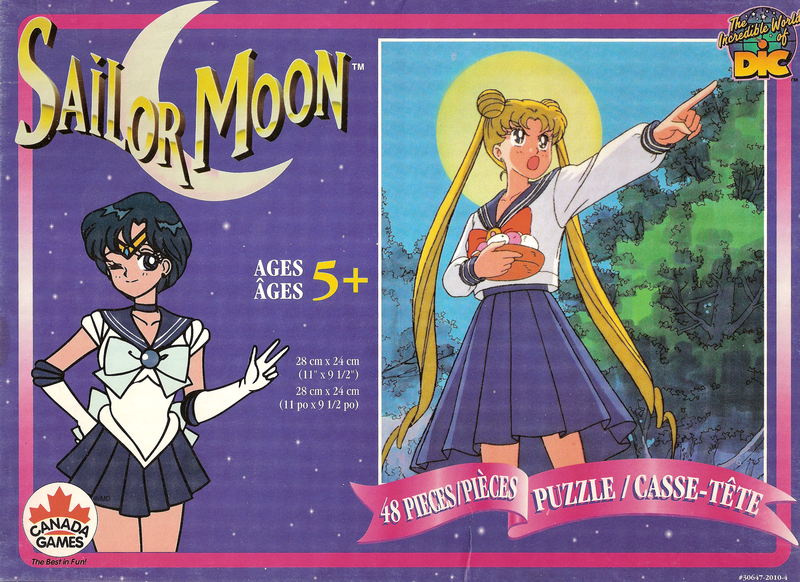 I have the 48 piece puzzle featuring Sailor Mars on it, never used, unopened, and still in its original packaging. How much do these puzzles roughly go for? I noticed you said you can find them at Value Village for a dollar, but are they unopened, or have they been opened and used? I’m just curious as I would someday like to sell it! Thanks. For a sealed puzzle that’s mint I think I’d pay $20 CAD for it. Opened they go for $5-$10 depending on condition. The last 48 piece I bought was $8 USD, the last 100 piece I bought was $15, both opened. 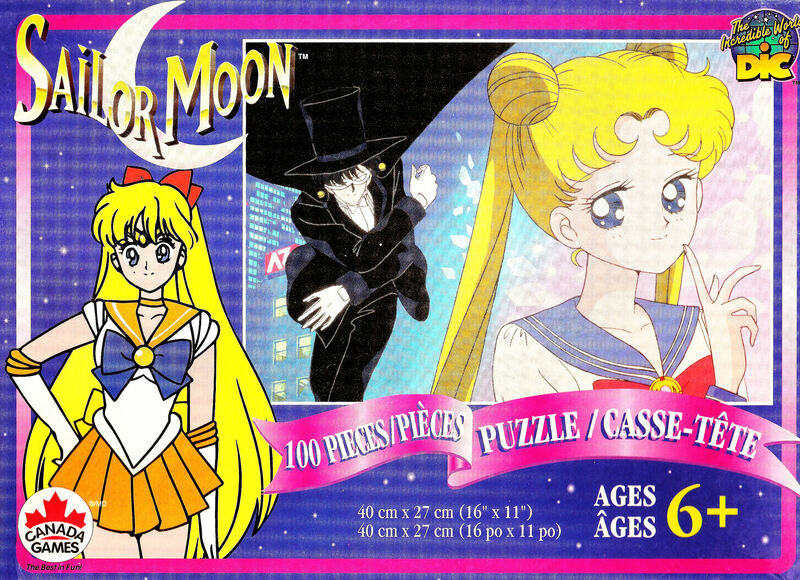 There are multiple puzzles with Mars on the box as the featured character though. The image on the actual puzzle might raise the value? But I haven’t actually seen any of the North American puzzles outside of that price range, even the large ones. I have one of the 100 piece ones but not one of the ones you have. It’s unused but the box is a little squished. How much are they usually worth? I’m not sure if I want to save it or if I want to open it and then frame it. Probably $2-10 for most. $15 for unopened seems reasonable.